Welcome to Eurasian Auto Repair! If you own a Honda than you know they have been established as reliable and trustworthy cars. Even with the most reliable Honda, your car will still require repairs like any other vehicle. 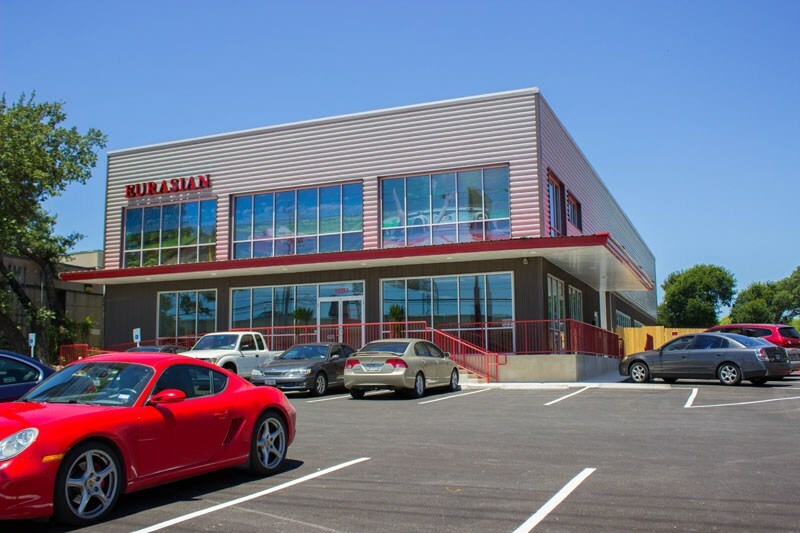 At Eurasian Auto Repair, we have been providing Honda car repairs in the San Antonio area since 1988. So we understand how important it is to keep your trusted Honda in good condition and on the road. Our shop is well-equipped to handle all your Honda’s repair needs. We have a full-service facility, stocked with the most current tools and technology used for all Honda models. The technicians that will be working on your car here are Eurasian Auto Repair are ASE certified and have years of experience. We strive to always to provide the highest quality workmanship and customer service. We stand behind our auto repairs and that is why most repairs come with a 2 year/24k mileage warranty. Common Honda repairs we see come into our auto repair shop include but are not limited to wheel bearing, alternator, and AC compressor. When something goes wrong with your Honda determining what the cause it can sometimes be a challenge. There can be a series of symptoms to look at, tests to run, and results to read. However, at Eurasian Auto Repair we have invested in all of the tools, equipment, and technology to properly diagnose your Honda. These same diagnostic tools are essential for finding the cause of your Honda’s check engine light. The check engine light on your Honda can be caused by a variety of things. In order to get to the root cause of the check engine light, we must use specialized equipment to connect with the onboard ECM. When it comes to taking care of your Honda and keeping it in mechanically in the best shape possible maintenance is key. When your Honda’s regularly scheduled maintenance services are overdue or missed all together this can increase the likelihood of increased wear and damage resulting in costly repairs. When you bring your Honda to Eurasian Auto Repair we help you stay on top of those all-important Honda maintenance services. Furthermore, with each maintenance service, we will perform a multi-point inspection to alert you to any possible issues. You Honda’s maintenance services include but are not limited to things such as fluid flushes, air filters, and spark plugs. The oil change service for your Honda is one of the most common maintenance services that you can expect. Tending to every oil change your vehicle requires is key for the longevity of your Honda. When your Honda’s engine oil goes unchanged it will become dirty and decrease its ability to effectively perform its job within your car. When this happens the components within the engine don’t get lubricated correctly which can lead to an increase of wear and tear on your Honda’s internal engine components. If the engine oil goes unchanged for an excessive amount of time over the recommended service interval the oil can become so dirty that it will begin to sludge. In the case that your Honda does have sludge, it can cause extensive damage that will be costly to repair. Another common maintenance service item you can expect is your Honda’s brake service. As a safety system, it is very important that you stay on top of the brake services your Honda requires. You Honda’s pads and rotors are both components of the braking system that wear down over time and will require replacement. Your Honda’s brake service is another common maintenance service item you can expect on a regular basis. Monitoring the wear on your brakes and replacing your brake pads and rotors is not only important for your car but important for your safety. Your entire braking system is comprised of many other components that may require attention from time to time as well. For example, your Honda’s braking system includes brake fluid that has to be flushed at a regular service interval designated by your manufacturer.